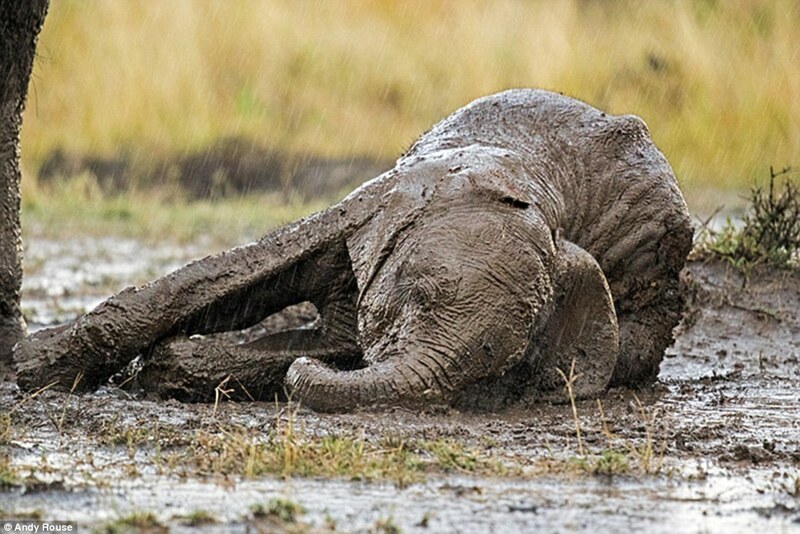 Wild elephants love nothing more than a good mud bath. 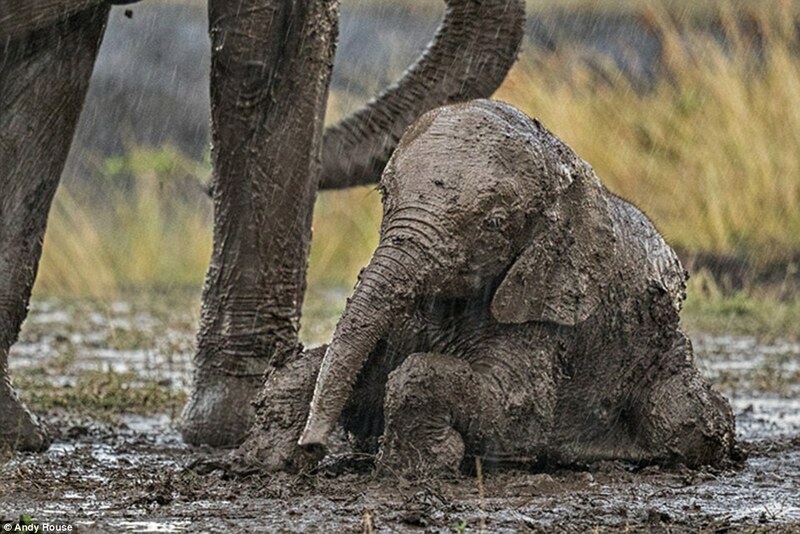 Not only is rolling around in the mud likely a ton of fun for elephants, but it also helps to keep their skin moisturized and protected from the sun. 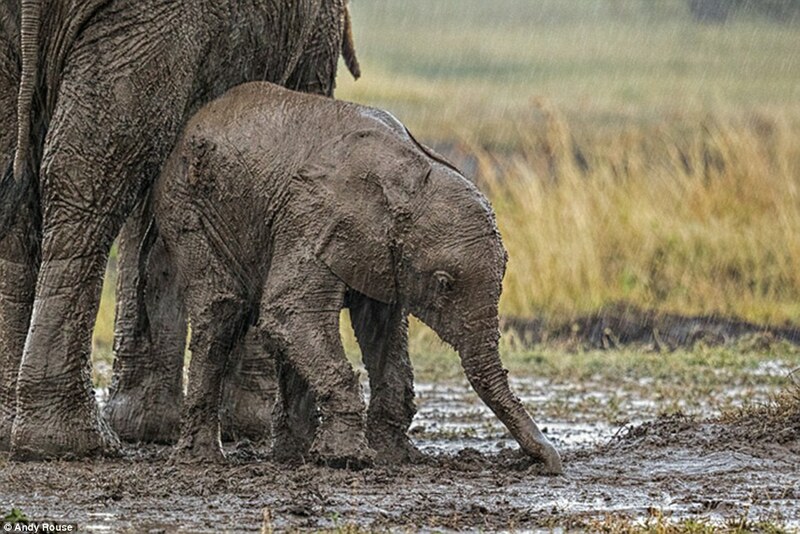 While all elephants indulge in a good mud, there’s something about a clumsy baby elephant in mud that is just too cute to handle. 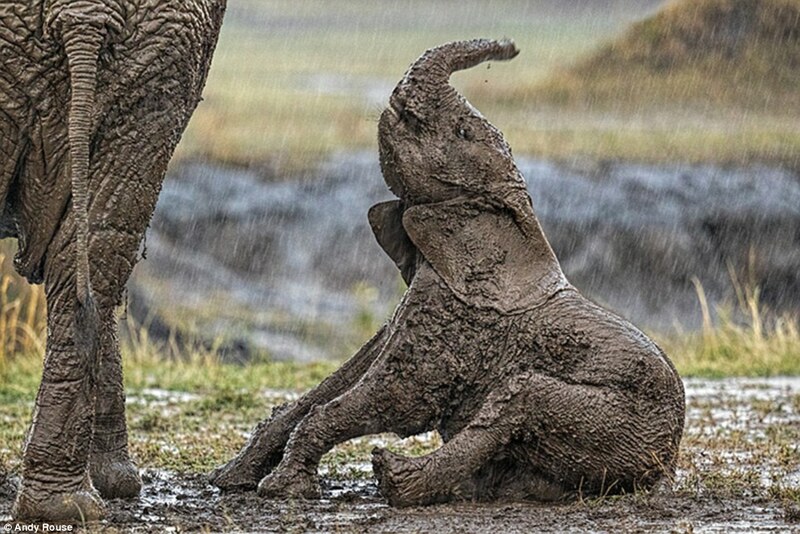 This baby elephant was mud-bathing with its family during a torrential downpour in the rainy season in the Maasai Mara game reserve in Kenya. All was well until he took a tumble into the syrupy mud. 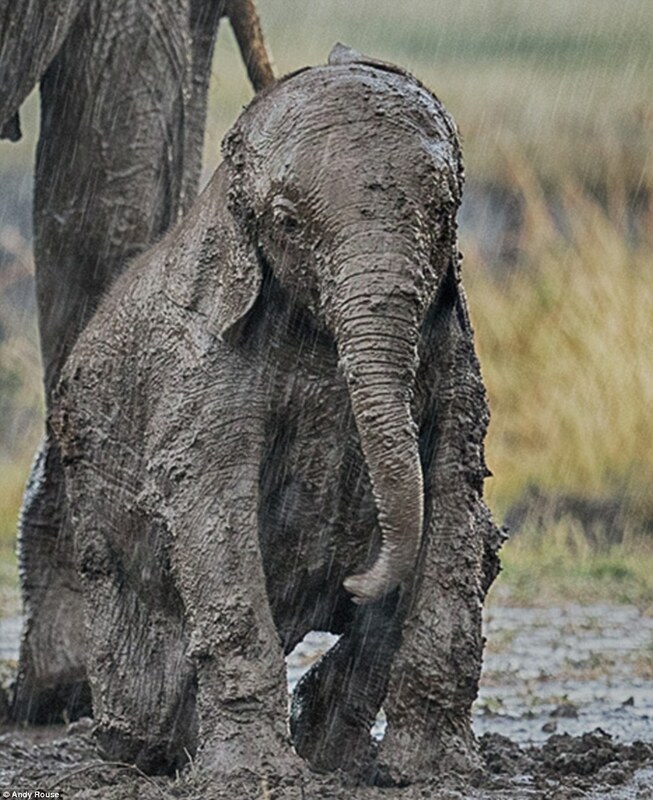 The little one takes a misstep and ends up in the mud. 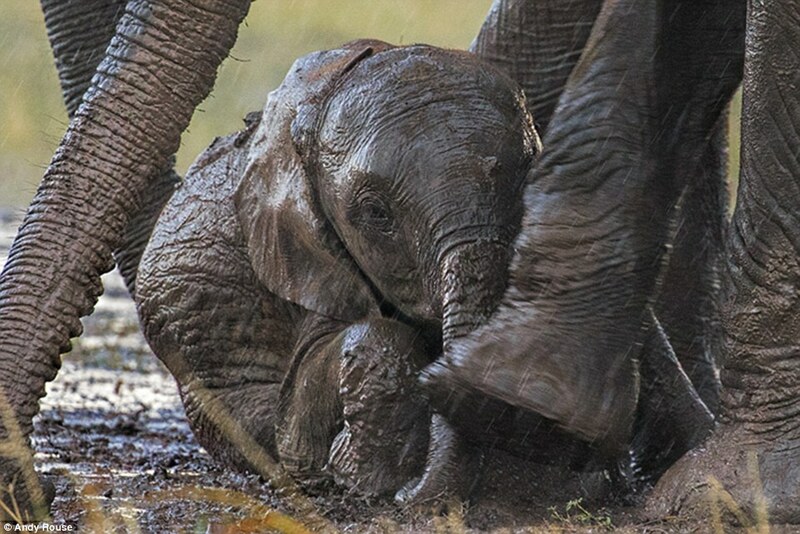 Baby elephants are just like baby humans in that their balance and dexterity develop over time with practice. 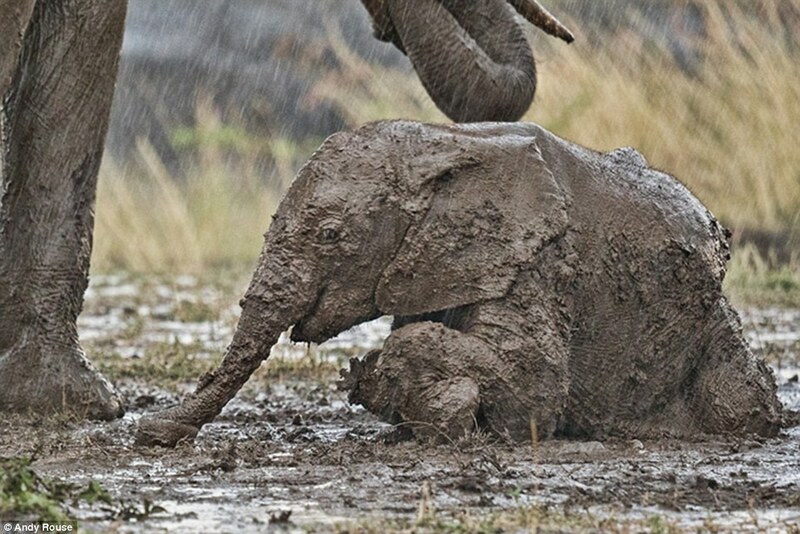 For example, this elephant learning to use its trunk shows that the life of an elephant is mostly trial and error. Mom is immediately on top of it and tries to hoist him upright. But like any growing child, he first tries to get up all by himself! He tries his hardest, but eventually exhaustion wins. He trumpets mom for some of her expert assistance. She calmly saunters over and surveys the situation. After a few seconds, she puts her pointed plan into motion. The mother positions herself over her calf and uses her foot to push him up onto his feet. Ah! Mother always knows best, doesn’t she! Our clumsy calf is being extra cautious around the mud now. His mother hovers around for moral support. Sights like this are becoming rarer because it is estimated that one elephant is slaughtered for their ivory tusks every 15 minutes. That’s 90 elephants a DAY, lost for the sake of making frivolous trinkets, jewelry, and statues. If this rate of poaching continues, some scientists believe that African elephants will be extinct from the wild within the next 20 years and the only places most people will get to see elephants will be in in zoos, where there do not belong. This baby is thought to be about six months to one-year-old. He may be small now, but he’s going to grow up to be as big or even bigger than his mother within the next 15 years or so! But until then, he’s got a loving herd of helpers at the ready for when he takes his next tumble. We can’t wait to see what this little guy looks like all grown up, enjoying life in the wild, rather than captivity!